Home ownership continues to be a primary financial goal for countless Canadian families. But a little caution might go a long way – with record-low interest rates and soaring house prices, many homeowners are teetering on the edge of financial hardship. In a recent poll released by Manulife Bank of Canada, an alarming number of Canadian homeowners have indicated that they would struggle financially if their monthly mortgage payments grew slightly. Eighty percent would cut back on discretionary spending to reduce debt. Jeff Schwartz, executive director of Consolidated Credit Counseling Services of Canada, says these numbers should be a wake-up call to homeowners teetering on the edge of financial turmoil. 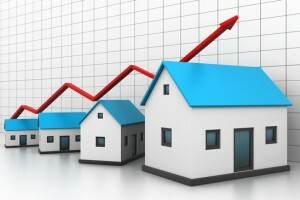 “Consumers also need a reality check when it comes to their housing costs. We need to ensure that our mortgage payments are not pushing us to the edge of a debt disaster,” adds Schwartz. While Schwartz is encouraged by the number of Canadians who are willing to cut back on discretionary spending in order to reduce debt, he is still concerned that many Canadians don’t know how close they really are to a financial free-fall. Your debt-to-income ratio is too high. As a general rule, your monthly housing costs (mortgage, property taxes, utilities and maintenance fees) should not exceed 30 percent of your household gross monthly income. If your debt-to-income ratio is higher than this, a change in interest rates or a sudden loss or reduction of income could be detrimental to your bottom line. You can only meet the minimum on your credit cards. Making the monthly minimum payments on your credit cards may keep your lenders at bay, but it is a clear sign that you are carrying more debt than you can realistically afford. Creating a debt payment plan can help eliminate unsecured debt and free up room in your budget if mortgage payments should increase. You’re letting your house go. Maintenance is a key part of home ownership. If you begin ignoring small home maintenance issues (such as a broken dishwasher or leaky faucet) because you simply don’t have the budget room there is a good chance you are teetering on the edge of too much debt. Home maintenance needs to be part of your household budget in order to avoid more expensive issues in the future, as well as to maintain the value of your home. You don’t have an emergency fund. Most financial experts agree that homeowners need to save between three and six months of living expenses to cover your financial obligations in case income becomes unstable. If your mortgage and other expenses are making emergency savings impossible, it is time to reevaluate your budget and make room for a cushion to fall back on. You’re not saving for retirement. Have you ever heard that it is important to pay yourself first? If you are not dedicating some income to retirement savings, you could be one of the many Canadians who have a mortgage that is too big for your budget. It can also be an indication that your spending is out of control, or that your debt load is too large for your income. Consumers should continuously be looking at their household budgets. If you find you are having a hard time working out the numbers and you are struggling to make ends meet, consider speaking with a financial advisor or credit counsellor. Call 1-888-294-3130 today to speak to a trained credit counsellor and find out how you can get your budget under control. You can also try our Free Debt Analysis online and a counsellor will reach out to you.